The Rebel Sweetheart. 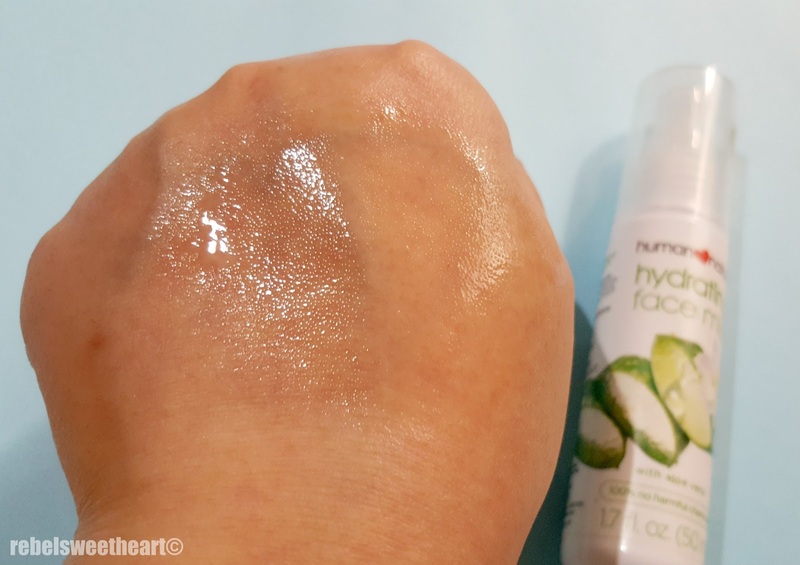 : Spotlight | Human Heart Nature Hydrating Face Mist with Aloe Vera. 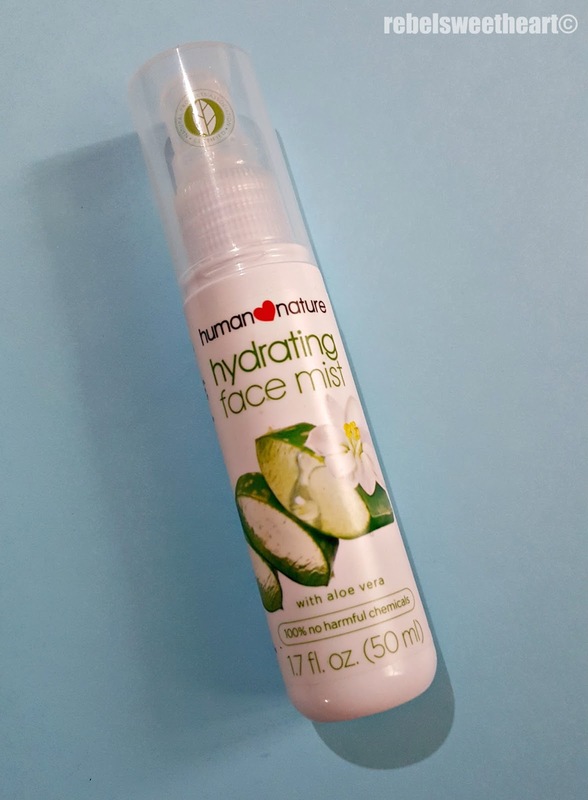 Spotlight | Human Heart Nature Hydrating Face Mist with Aloe Vera. 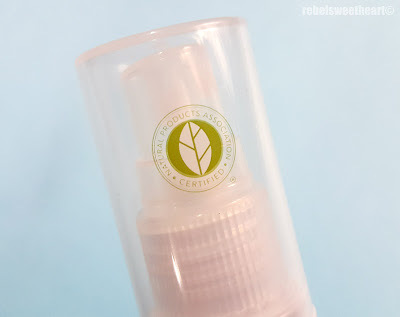 Upon receiving a bottle of Human Heart Nature's new face mist during the last Magalogue Turnover/Product Launch (many thanks to Elaine and the ever-so-wonderful staff of Human Heart Nature Laguna), my initial reaction was, "Oh, cool! This will definitely come in handy when I travel!" Little did I know that I would get what I wished for sooner than expected. 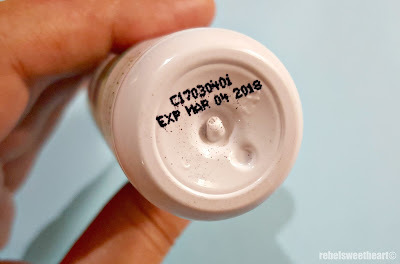 I was admitted to the hospital two days later due to a severe asthma attack and this product was one of the few things that I hurriedly stuffed in an overnight bag, together with some clothes and hygiene basics (i.e. toothpaste, deodorant, bath soap). 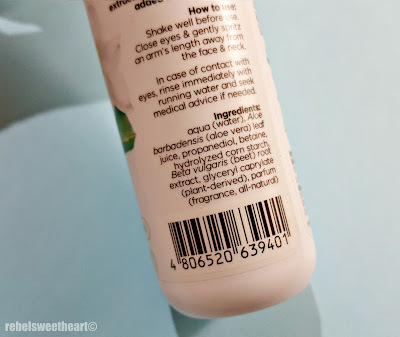 Human Heart Nature Hydrating Face Mist with Aloe Vera. Bringing this along was a wise decision, as this face mist became my skin-saviour during the course of my confinement. Staying in an air-conditioned room for an extended period of time can send the skin's natural moisture out of whack, and you can end up with dry, flaking, itchy skin. Product description, directions for use, and ingredients on the side of the bottle. This is where the Human Heart Nature Hydrating Face Mist with Aloe Vera came in handy. I would spritz this on my face whenever it feels tight and dry and boom... instant hydration! This product is infused with aloe vera gel whose benefits to the skin are well-known. Not only does aloe vera moisturize the skin, it also helps remove dead cells. In addition, aloe vera improves skin elasticity and helps prevent the early signs of skin ageing. Furthermore, aloe vera is rich in vitamins, minerals, and anti-oxidants which can reduce skin inflammation and heal chronic skin problems. Aside from aloe vera, this face mist also contains beetroot extract which moisturizes the skin and keeps it smooth and supple. A rich source of iron, vitamins, and minerals, beetroot also has anti-inflammatory properties for healthy, glowing, acne-free skin. Expiration date indicated at the bottom. And so despite being confined to an air-conditioned room 24/7 for the next five days, my face was in a much better condition than my lungs. 100% natural and certified by the Natural Products Association. 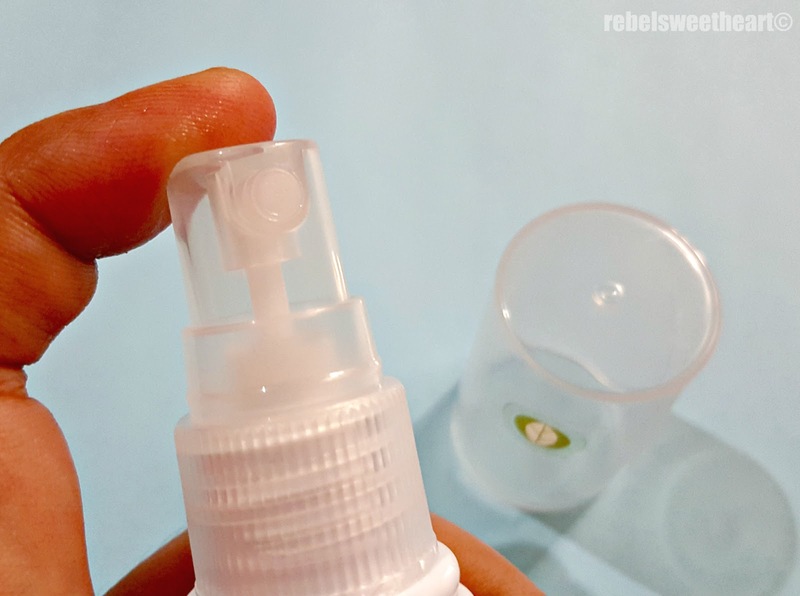 It's a good thing that this face mist is lightly-scented and easily absorbed by the skin. Otherwise, it could have triggered another attack and aggravate my condition. As much as I love the wonders that this face mist does for the skin, I dislike the spray nozzle. It takes extra effort to pump it, and the nozzle is too difficult to control. Also, the nozzle does not give you a mist, but a rain. A rain!!! 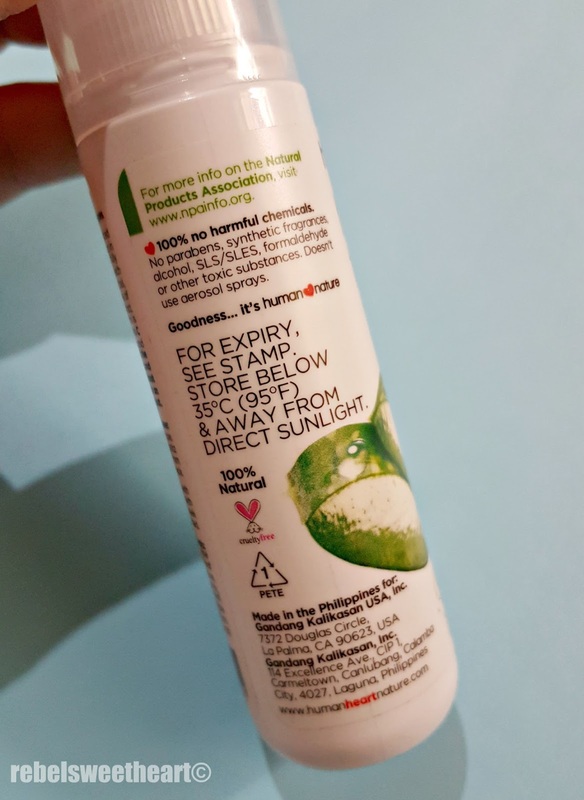 The Human Heart Nature Hydrating Face Mist with Aloe Vera comes in a travel-friendly 50 mL bottle and retails for Php 250. 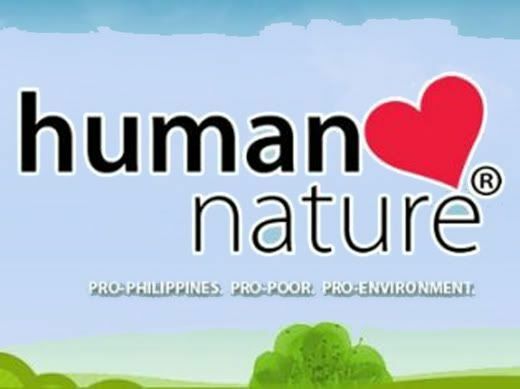 You can purchase this product at Human Heart Nature branches nationwide, or through the Human Heart Nature online store. I have known about the hydrating and nourishing properties of aloe vera, but this is the first time I've heard about beet root. That's something new I learned today. I think the price is reasonable enough for a quality product like that. 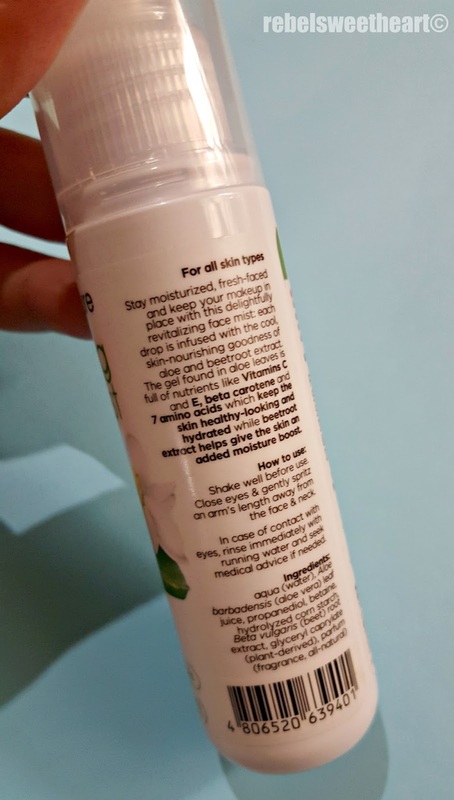 Thanks for letting us know about this product. 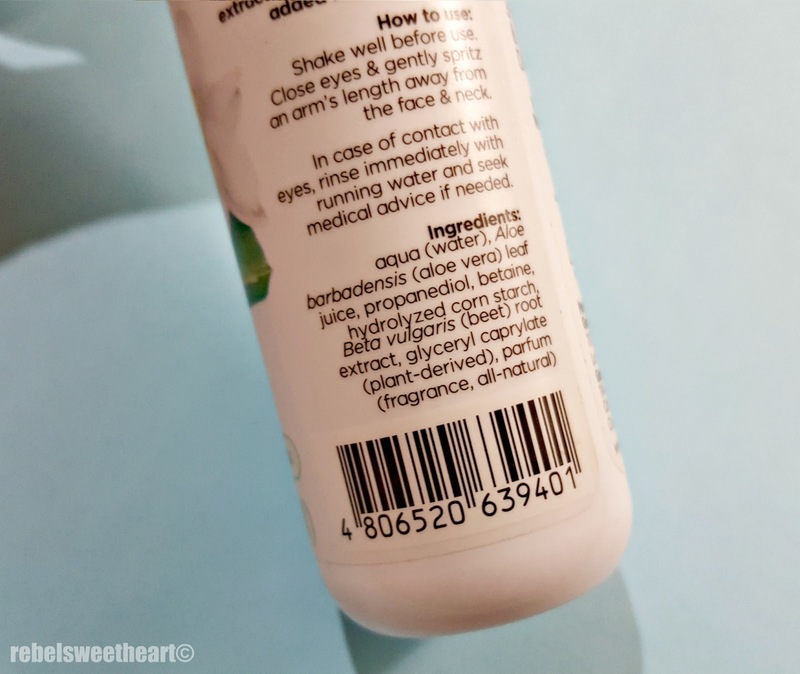 The ingredient list is awesome because of the aloe vera and beet root. I will give this a try. Oh, BTW, I hope you have a speedy recovery! It sounds like a great product. I don't really use hydrating face mists but it's nice to know that this works. I really like human nature, they have so many good products for people with sensitive skin like me. I sure hope you feel better now. This is awesome, I love that it's easily absorbed by the skin. This is perfect for the summer weather. CAn you transfer the contents in to a better atomiser?